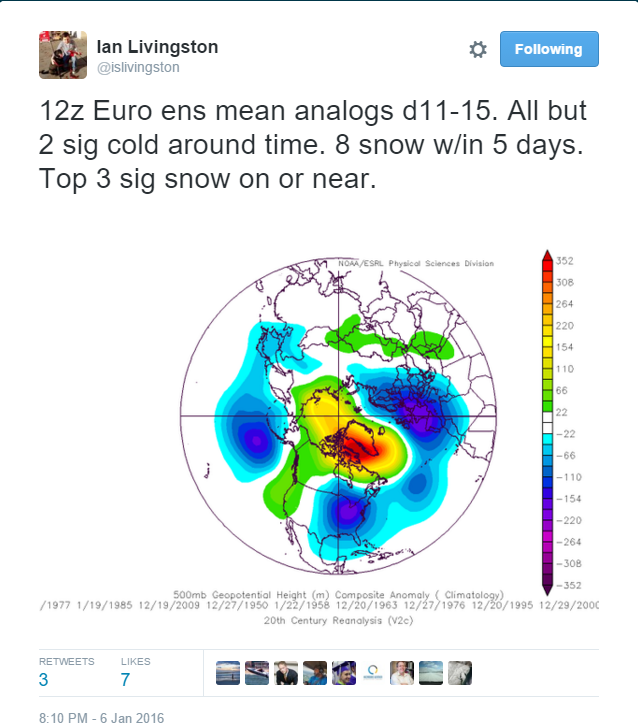 Earlier today, Ian Livingston of Capital Weather Gang, tweets an ESRL map showing the European EPS 11-15 analogs and how they looked. 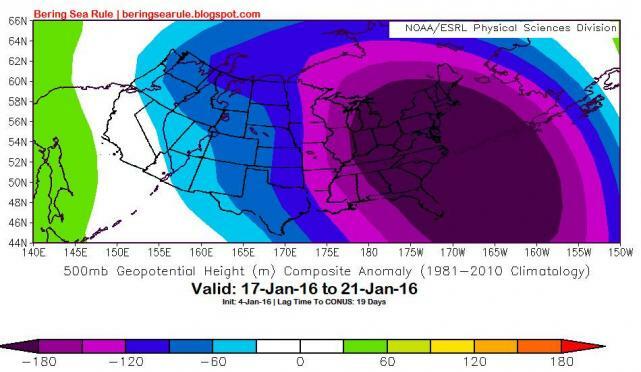 This is what the Bering Sea Rule showed on the 4th of January for the same time period. That is the joy of #organicforecasting!